It is now known to all that Sony is all set to launch its two new smartphones at the upcoming Mobile World Congress, which is scheduled to take place on February 25. As per the recently leaked press images, the devices are named as Xperia XA3 and XA3 Plus. 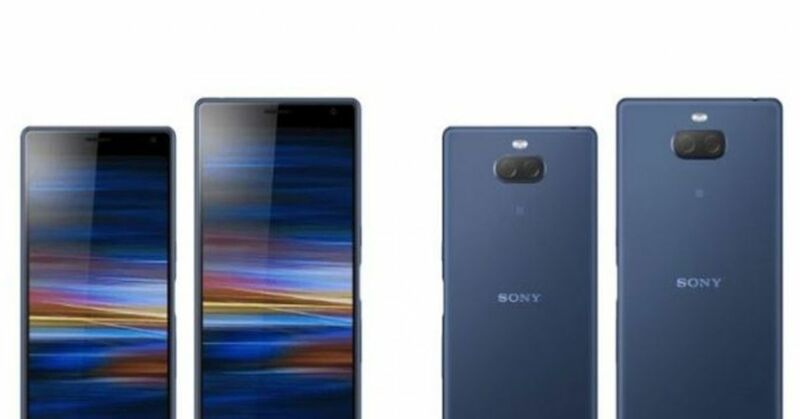 But now according to a report by Roland Quandt, a well-known leakster the devices, the actual names would be Sony Xperia 10 and Xperia 10 Plus. According to the previous reports, both the Xperia 10 and Xperia 10 Plus would offer a full HD+ display without a chin at the bottom and will come with an unusual 21:9 aspect ratio. Apart from this aforementioned information, some new information about the processor and battery are also revealed by the leakster. The Sony Xperia XA3 or 10 would arrive with a 5.9-inch screen and will be powered by a 2.2 GHz octa-core Snapdragon 630 processor. Rumour suggests that there will be an Adreno 508 GPU for the graphics. The device will have 3GB of RAM, while there would be 64GB of internal storage with an option of microSD card to expand the space up to 256GB. The Sony Xperia 10 would run the latest Android v9.0 (Pie) out-of-the-box. In terms of optics, the dual rear set up will have a 13MP main camera with LED flash and a secondary 5 MP shooter. At the front, there would be an 8MP lens for video calls and selfies. The smartphone will have a side mounted fingerprint sensor and is expected to ship with a 2,870mAh battery with Qualcomm Quick Charge 3.0, Qnovo Adaptive Charging. Talking about the other smartphone, the Sony Xperia 10 Plus or XA3 Plus, the design will be the same as Xperia 10, but the screen will be 6.5-inch. The processor is also different and gets the powerful octa-core Snapdragon 660 chipset. The GPU will be the Adreno 512 unit and there will be the 4GB RAM along with the internal storage of 64GB. Like the XA3, this smartphone is also expected to come with the option of a microSD card slot with which users can expand the memory to up to 256GB. The Sony Xperia 10 Plus too would also run Android Pie. The optical configuration would consist of a 10 MP main camera with LED flash and a secondary 8 MP lens at the back panel, along with a 5MP sensor at the front. It is also said to have a side-mounted fingerprint sensor and will get the charging facilities like Qualcomm Quick Charge 3.0, Qnovo Adaptive Charging. The Sony Xperia 10 and Xperia 10 Plus are expected to come with the price tags of Euro 349 Euros (around Rs 27,925) and Euro 429 (around Rs 34,330) respectively.